Have you ever looked at a celebrity and thought they were another celebrity? Many celebrities often get mistaken for one another. They tend look so much alike that they could pass for siblings or relatives. These celebrities could easily swap faces and no one would ever notice the difference. Whether they’re in the same age group or if there is a huge age difference, there is no denying the similarities in facial features. Let’s take a look at a few celebrity doppelgängers that will make you do a double take. 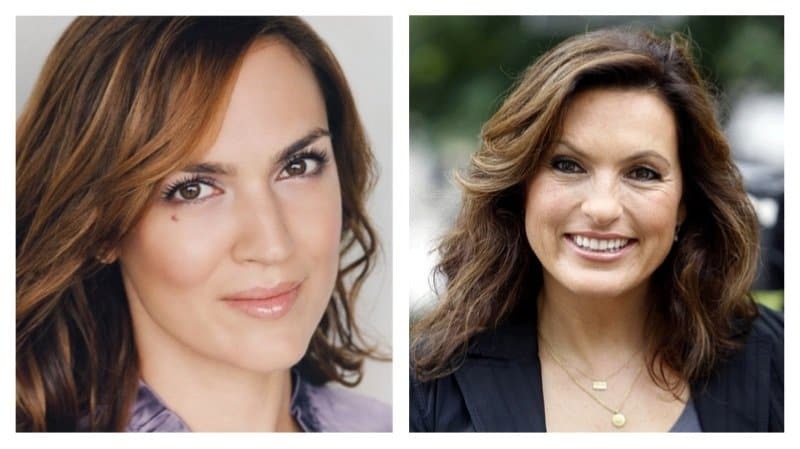 Pretty Little Liars‘ Lesley Fera and Law & Order: SVU‘s Mariska Hargitay could definitely pass for sisters. If you’re binge watching PLL or Law & Order and think, ‘Isn’t that the same lady from that other show?’, no it isn’t and you’re eyes aren’t deceiving you. They are two completely different women. 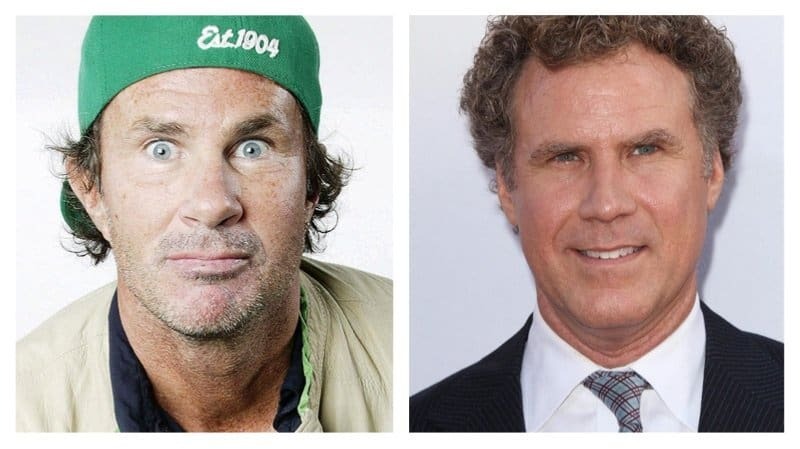 Red Hot Chili Peppers‘ drummer, Chad Smith, and actor Will Ferrell are the spitting image of each other. Chad Smith began wearing ‘I Am Not Will Ferrell‘ shirts during live performances to kill the confusion. Just last year, the two competed in a drum off on The Tonight Show With Jimmy Fallon. 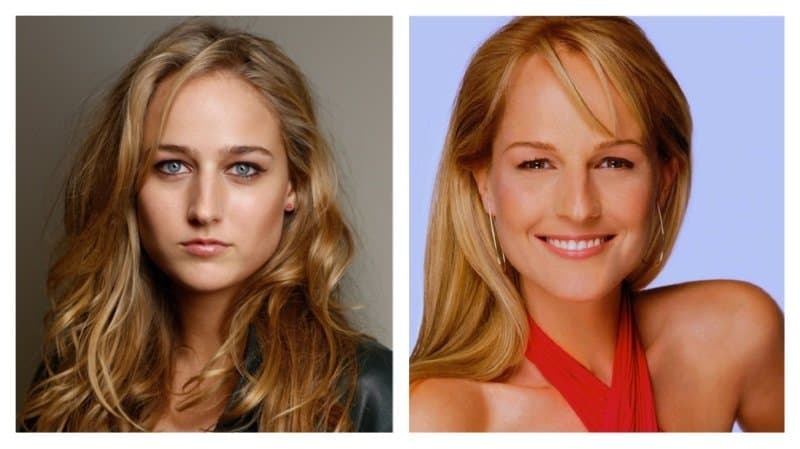 Helen Hunt could definitely be the older sister of LeeLee Sobieski. Back in the 90’s, LeeLee was considered the next big actress due to the fact she had such a strong resemblance to Helen Hunt. 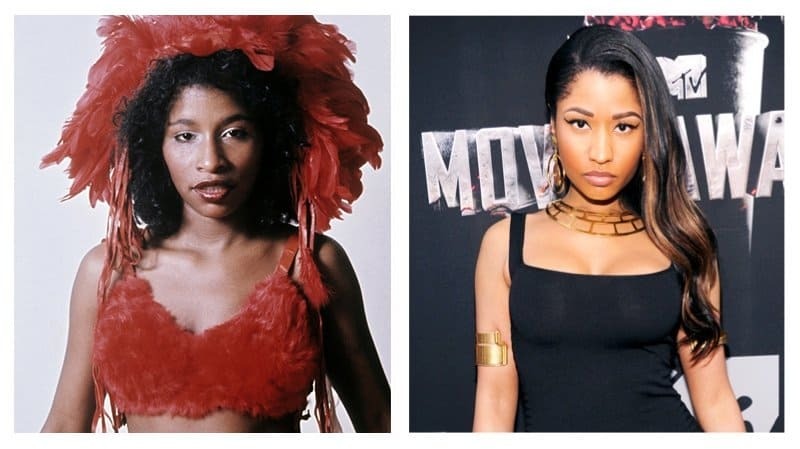 Nicki Minaj looks much like how the legendary singer Chaka Khan looked during her prime. Both of these beauties have similar eyes and noses. Chaka Khan has said that she does see a resemblance between her self and Nicki. 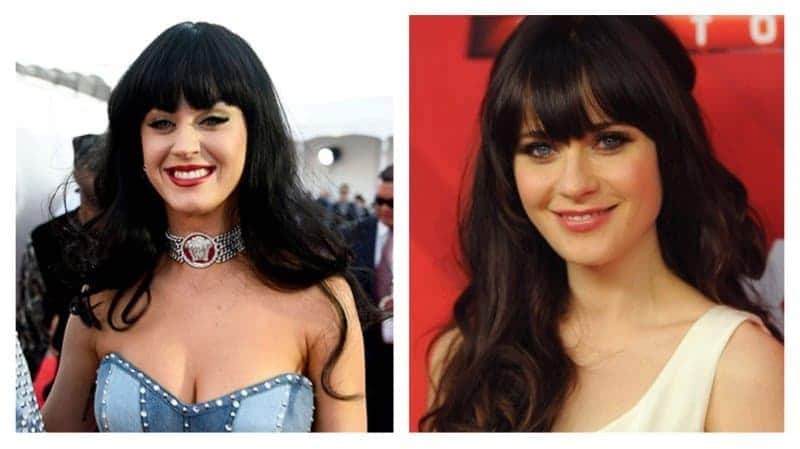 Singer Katy Perry and actress Zooey Deschanel looks like they were separated at birth. Zooey Deschanel has said that she doesn’t see the resemblance but is flattered because she thinks Katy Perry is beautiful. 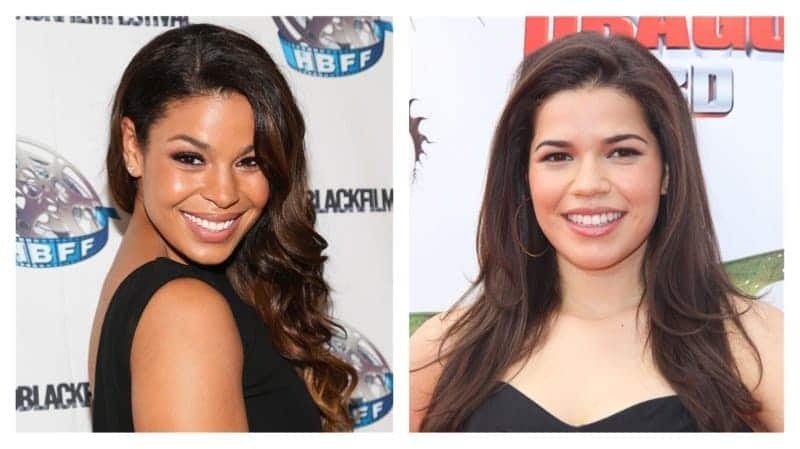 Singer Jordin Sparks and actress America Ferrara look like they could be sisters or cousins. The two ladies have the same cheekbones and eye structure. 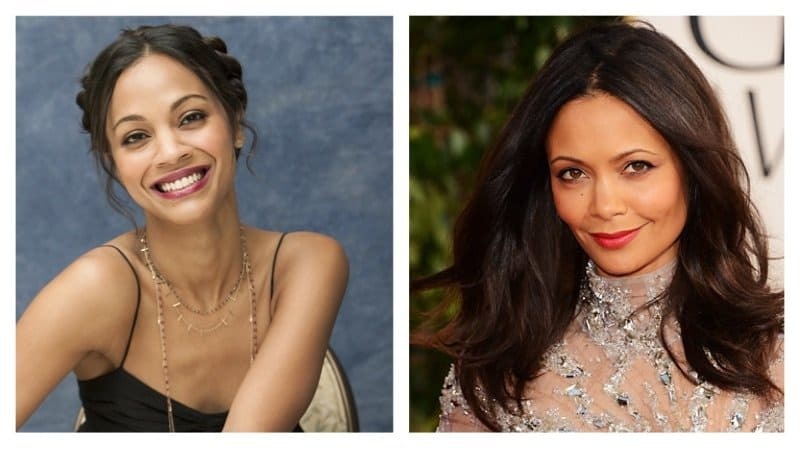 The striking similarities between actress Thandie Newton and Zoe Saldana are uncanny. Zoe Saldana has said even her own mother has mistaken her for Thandie Newtown. In an interview she said her mother saw a poster for the movie Crash and asked her why she didn’t tell her she was in a new movie. But of course, it was Thandie Newton that starred in Crash, not Zoe Saldana. 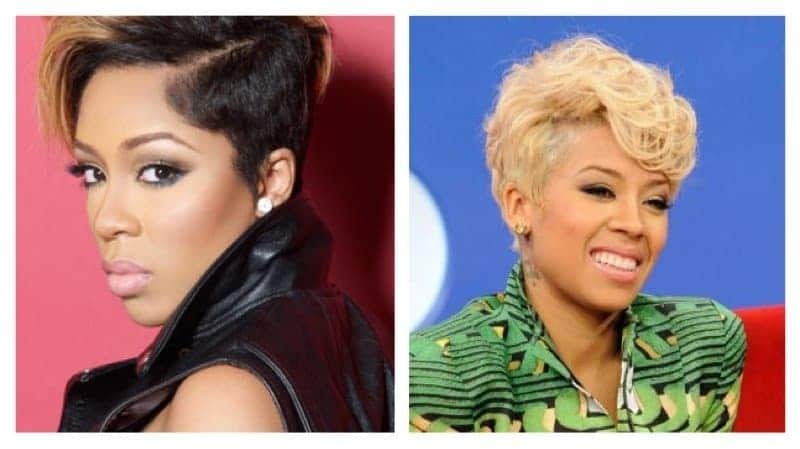 When K. Michelle first stepped on the music scene, she was often compared to another singer, Keyshia Cole. The two were not only compared for their similarities in music but their looks as well. At first sight, it is easy to get the two soulful singers confused with the other. Naya Rivera has been ridiculed for altering her features to look like reality star, Kim Kardashian. 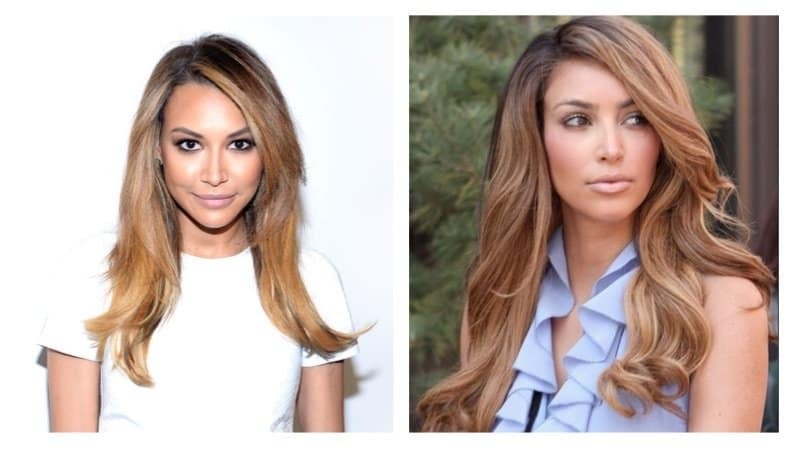 Many blogs have done side by sides of Naya and Kim asking whether or not Naya is trying to morph into Kim Kardashian. You’ve got to admit though; their looks are pretty similar. 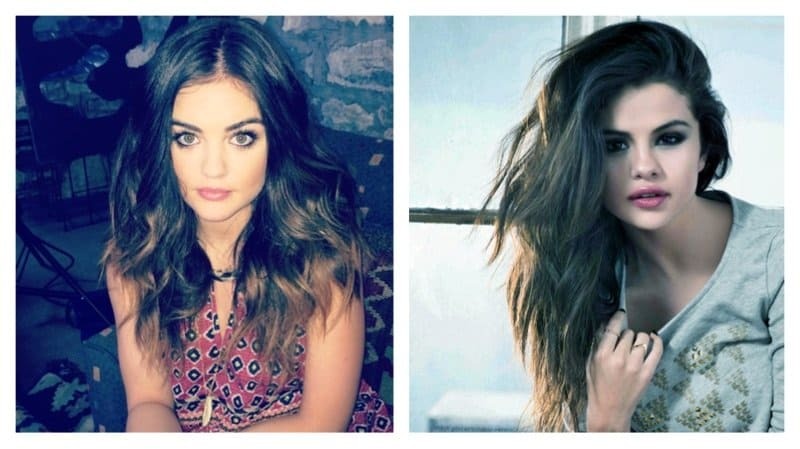 Lucy Hale has said that she often gets mistaken for Selena Gomez. Hale once recalled a time that she was at the airport and a fan’s mother called her Selena and asked to take a picture. 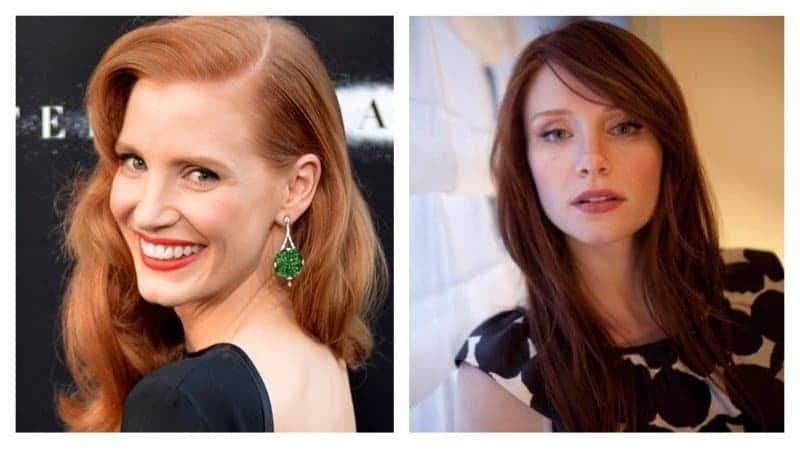 When Jessica Chastain and Bryce Dallas Howard worked together on the movie, The Help, rumors began circulating that they were sisters. Some rumors even insinuated that Jessica was one of Ron Howard’s secret love child. The two red headed beauties look alike, but they aren’t related. 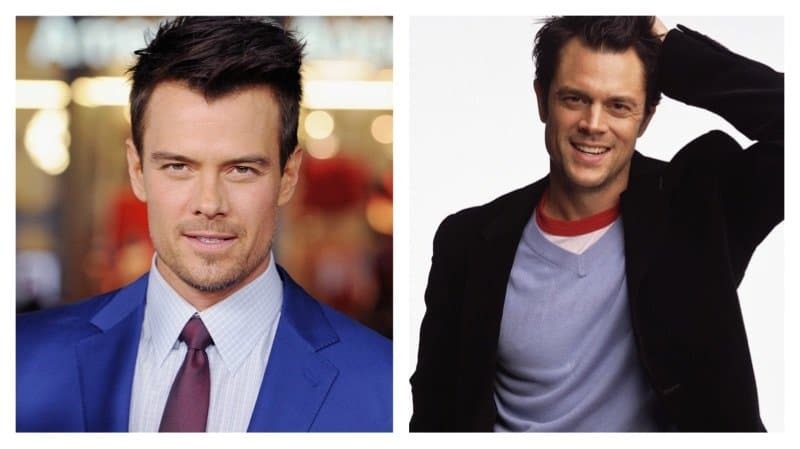 For many years people have thought that actors Josh Duhamel and Johnny Knoxville were the same person. It’s easy to see why anyone would get the two mixed up. They both have sported the same buzz cut hairstyle and their facial structures are very similar. A fan once asked Josh Duhamel what celebrity does he often get mistaken for, he responded with Timothy Olyphant and Johnny Knoxville. 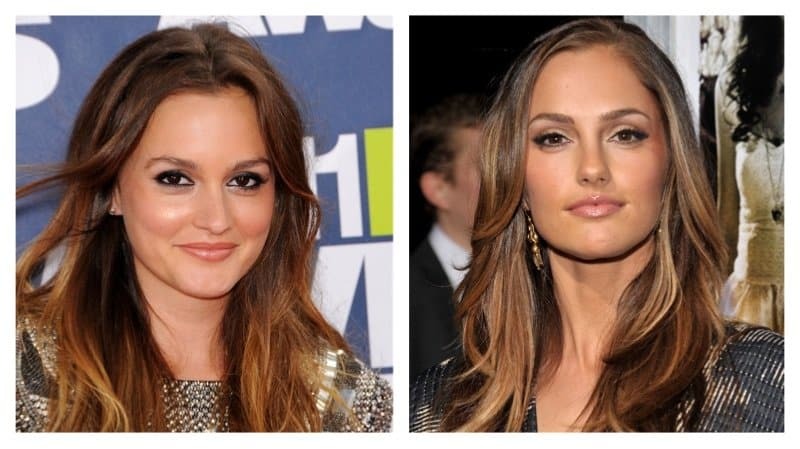 Leighton Meester and Minka Kelly both starred in the thriller, The Roommate. 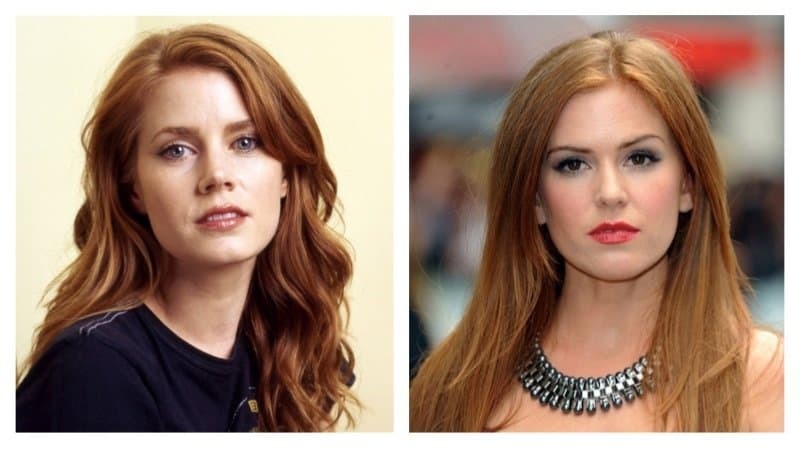 These two beautiful actresses aren’t related but they look like they could be sisters. Scarlett Johansson and Amber Heard are both blonde bombshells. They both share full, pouty lips, gorgeous eyes and gorgeous blonde locks. 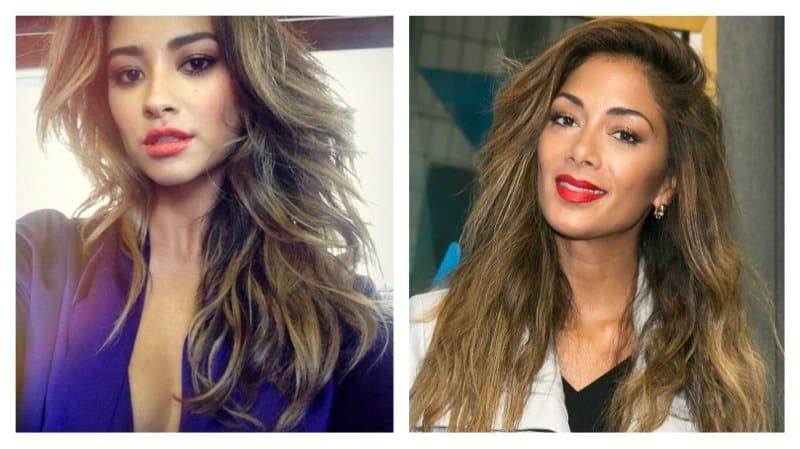 Pretty Little Liars actress and model Shay Mitchell and singer Nicole Scherzinger are definitely doppelgängers. Both ladies have similar facial features, flawless skin and long flowing hair. Mitchell and Scherzinger both have Filipino ancestors. There has been an on going joke on social media that Drake and Beyoncé’s daughter, Blue Ivy are related. 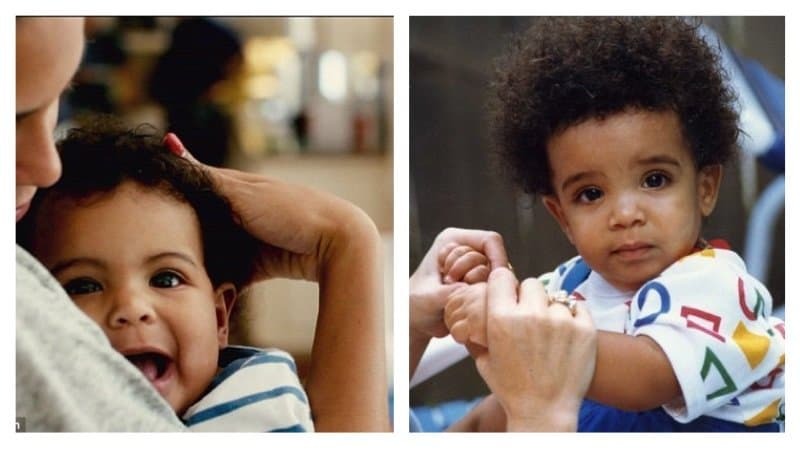 Drake’s baby picture looks exactly like little Blue Ivy. Drake agreed on Chelsea Lately that he does look a little like Blue. 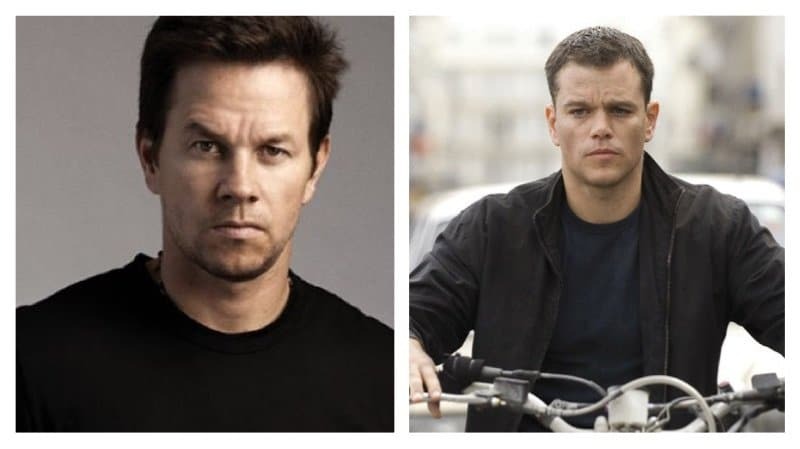 Actors Mark Wahlberg and Matt Damon often fool their fans and pose as each other in pictures. The two have made a pact that whenever they are out and about and a fan confronts them as the other, they won’t correct the fan. Instead, they will simply smile and pose for pictures. Mark Wahlberg has even admitted to signing autographs as Matt Damn instead of correcting a confused fan. Are you seeing double? It’s amazing how much actresses Nina Dobrev and Victoria Justice favor one another. Both actresses take it as a compliment to be compared to the other individual. 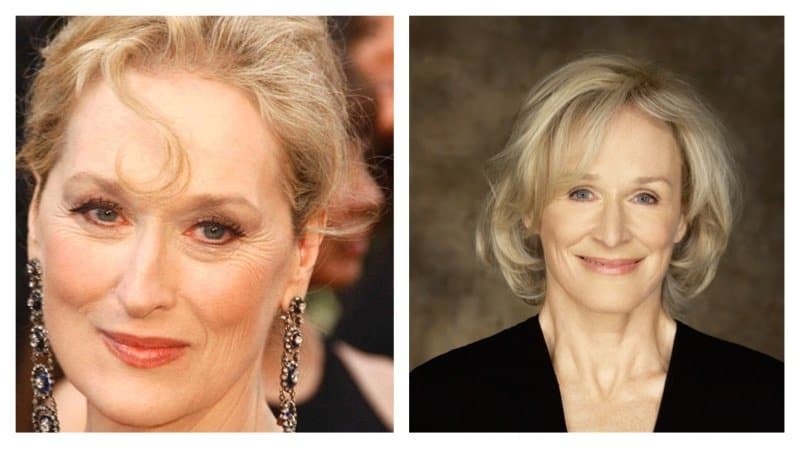 These two award winning actresses have said they’ve been mistaken for each other since the beginning of their careers. Both actress are very close, good friends and have often competed for the same movie roles. Amy Adams said that she doesn’t understand why people mistaken her for Isla Fisher. In an interview with Vanity Fair, Adams stated that when she and Isla get together to hang out, they don’t see the similarities that everyone else sees.